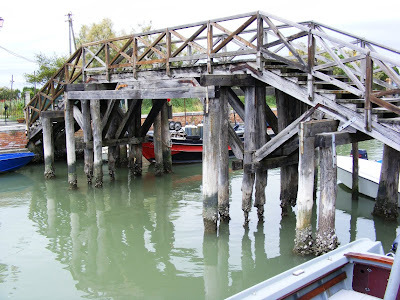 The Gondola Blog: Just the Photo - "Old Bridge"
Tamás shot this photo in the Burano-Mazzorbo area. It looks like this bridge could use some new wood. Maybe the guys on the Paline Barge could spare a few.